At Tahoe Meadows trailhead, where I joined the official TRT after hiking up from my house in Incline Village. 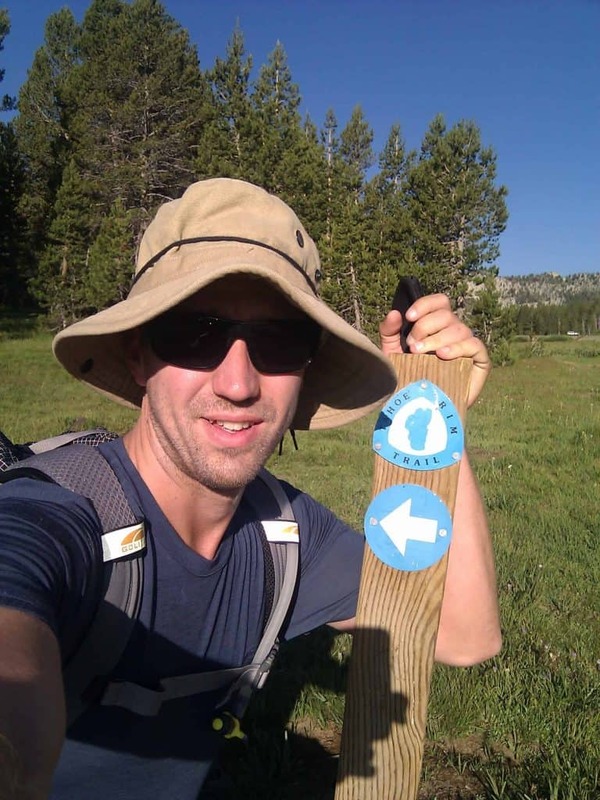 Two weeks ago, our Adventure of the Week featured Jim Hammerel, who was about to set out on an epic 5-day thru-hike of the Tahoe Rim Trail. Here he gives us the details of his trip, torn meniscus and all. Coming into my 5-day Tahoe Rim Trail attempt, I knew one thing… it was going to be more a mental challenge than a physical one. That was the only thing I got right. On the first day, I knew I had to make my goal to hike from my home in Incline Village to the Kingsbury North trailhead in Stateline. That equated to around 42 miles, the longest segment I had planned for any of my five days. If I couldn’t hack it on the first day, I knew I wouldn’t have the mental fortitude to make it the remaining four. I’d be playing catch-up with no margin for error. Luckily, I made it to my goal that night. Despite the early onset of blistered feet, dry camping with no water and a horrible night’s sleep, I made it. I awoke on day two ready to tackle another 40-mile trek. The last glimpse of the Lake that I got as I descended down from Armstrong Pass on my way to the Big Meadows trailhead after hurting my knee. I hobbled 11 miles downhill to the Big Meadows trailhead off of Highway 89, south of South Lake Tahoe. It took around 6 hours to get down, and I knew my trip was over before I got to the road. The next morning a doctor gave me the diagnosis of a torn right meniscus and a strained lateral collateral ligament. Ice, wrap, elevate for a week or more. My 5-day thru-hike attempt was cut short by a knee injury. I had covered around 70 miles in two days, making it almost halfway around Lake Tahoe. It was hard knowing that I had planned so long for this, but never got to complete my voyage. However, the hardest part of the trip was staying motivated and staying hydrated. Hiking solo is a lot different than hiking with family or friends. My mind began to wander, I questioned what I was doing, I wasn’t focused. Keeping it together and staying on track was really a challenge for me. There were plenty of times throughout the trip that I wanted to call it quits. Finding and locating water was also difficult. Sometimes I’d show up to a “guaranteed” water source, only to find it was dry. Sometimes this meant hiking for hours with no water to get to the next possible spot. As far as gear goes, I was really happy with my selection. My ultralight sleeping bag was almost too much for the warm Sierra night. My backpack was light and adequate. My Icebreaker shirt was always dry and didn’t smell. My Spot GPS Beacon allowed my friends, family and supports to follow my movement throughout the day. My freeze-dried meals were light and tasty. The only gear comment I have is about my hammock. It’s a great way to save on weight and provides an alternative to sleeping on the ground, but setting up the hammock properly is infinitely important. It MUST be hung taut. A hammock that droops in the middle means that all the blood races to your stomach, leaving your head and feet icy cold. Ensuring your hammock is strung tight so there’s no sag in the middle can make or break your night. Let’s just say, I learned this lesson the hard way. Looking back now, I’m still disappointed that I couldn’t finish what I started. 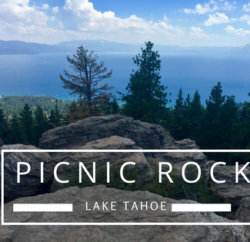 I’m happy that I raised over $750 for the Tahoe Rim Trail Association. 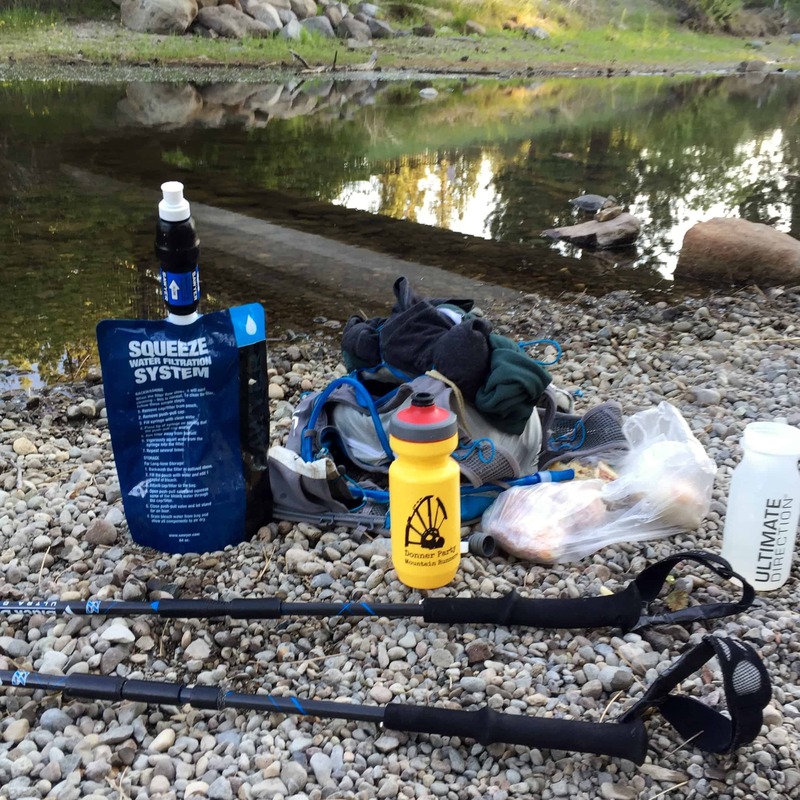 As my first fastpacking experience, I learned a lot: what to expect, meal planning, dealing with blisters, etc. 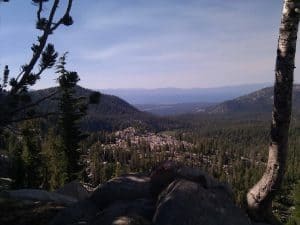 I hope to get back on the trail next summer and try the Tahoe Rim Trail again. 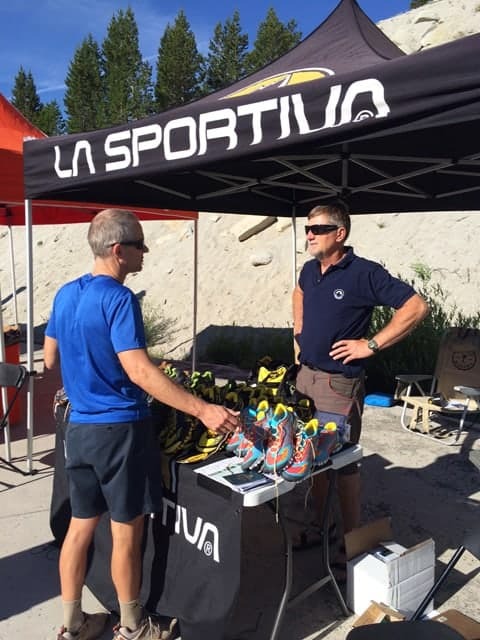 Thanks to all the people and businesses, like Tahoe Mountain Sports, that supported my attempt.